My name is Holly Wiest. 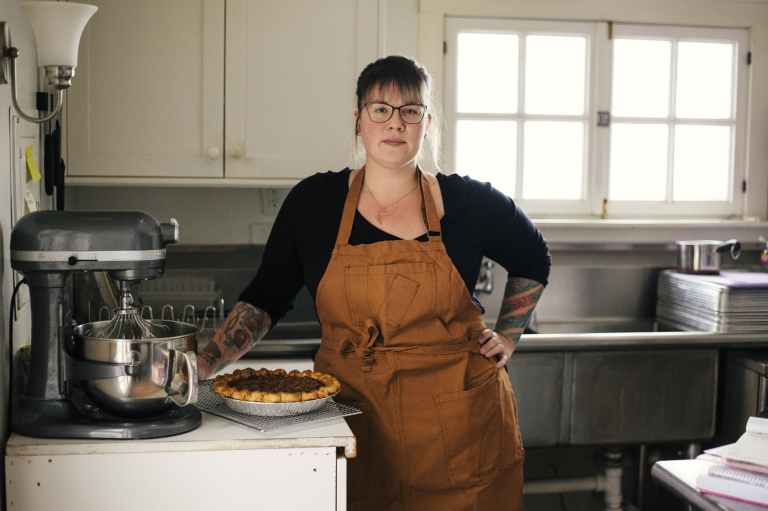 I’m a 31 year old pastry chef and owner of Cotton-Top Pastries in Helena, Montana. I was born in Singapore to two 4th generation Montanans and spent the first three years of my life living in the middle of a jungle in Indonesia while my father worked as a chemical engineer at a cement plant. Eventually we made our way back to the states for a brief stint in the Bay Area, but made our final move home to Montana the summer before I entered second grade. I’m a daughter, sister, girlfriend, and mom to two dogs and two cats. I’m a cardigan enthusiast, avid audiobook listener, unabashed NPR Sunday Puzzle participant, antique and dish collector, and lover of cheese and carbohydrates. I enjoy hikes, travel, dog walks, long walks on the beach, and cozy nights at home.